Arriving just in time to combat the many negative news stories about what Netflix is taking away is the reminder that, starting tomorrow, you can stream all four seasons of Mad Men through its Watch Instantly service, which needs as many shows like this as it can get now that it’s urging everyone to commit to it. 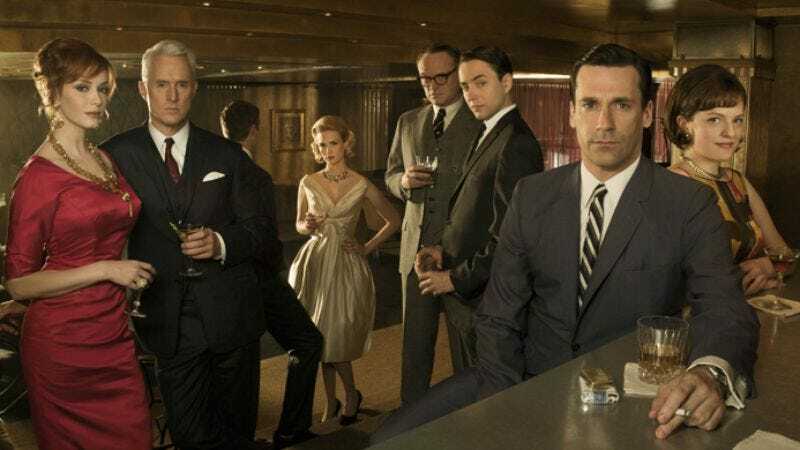 You may recall that we mentioned this once already in April, but our internal metrics show that simply putting “Netflix” or “Mad Men” in a headline all but guarantees pageviews. Believe me, if I could have found a way to insert the words “naked” or “Alison Brie” in there I would have, but somehow “Netflix begins streaming Mad Men tomorrow, a show that occasionally features a non-naked Alison Brie” just felt like I was pushing it, you know? Anyway, catch up on this show already.